On 22 May millions of working class people have the opportunity to vote in the local government elections. At the same time workers are voting or have voted for strike action to resist the attacks on their pay, pensions and working conditions. This year, in almost one in seven local election seats, these teachers, firefighters, health and local government workers, civil servants, transport workers and others can choose a real anti-cuts pro-working class voice. The Trade Unionist and Socialist Coalition (TUSC) is standing 560 candidates. In local government councillors can use their position to build the resistance to austerity. But only a handful have voted no to cuts. The Tories and Lib Dems, but also Labour, Green and Ukip councillors, choose to vote through attacks on working class people. 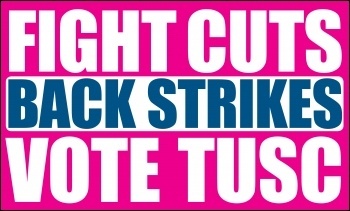 TUSC candidates have all pledged to vote against cuts. They back the working people taking strike action. In fact, in many cases, they are the strikers. Workers cannot expect any support from Labour when they struggle. A day before a planned strike by RMT members on London Underground in defence of hundreds of jobs, Ed Miliband said: "The Tube strike is wrong and it shouldn't be going ahead." In June 2011, before the massive public sector strike, he repeated his denunciation of the action six times. The Labour council's policies of making every single cut as directed by the Tories have failed. Labour calls cuts 'savings'! I call them cuts and these cuts hurt. I am a member of the RMT trade union and have consistently fought to defend working class people in the workplace, as I will on the council. We've had enough. We have lost three fire engines in Waltham Forest, one from my very own station. I am proud to be standing with other trade unionists and socialists campaigning against cuts, particularly those working in the local Whipps Cross hospital. The sale of council housing to housing associations, the privatisation of housing services, and the constant transfer of care services between different providers has led to a race to the bottom for workers and users of these services. The Unite Housing Workers branch, covering over 2,500 workers, has been mounting a concerted and successful fightback against these attacks. With leading members of our branch I am standing for TUSC. 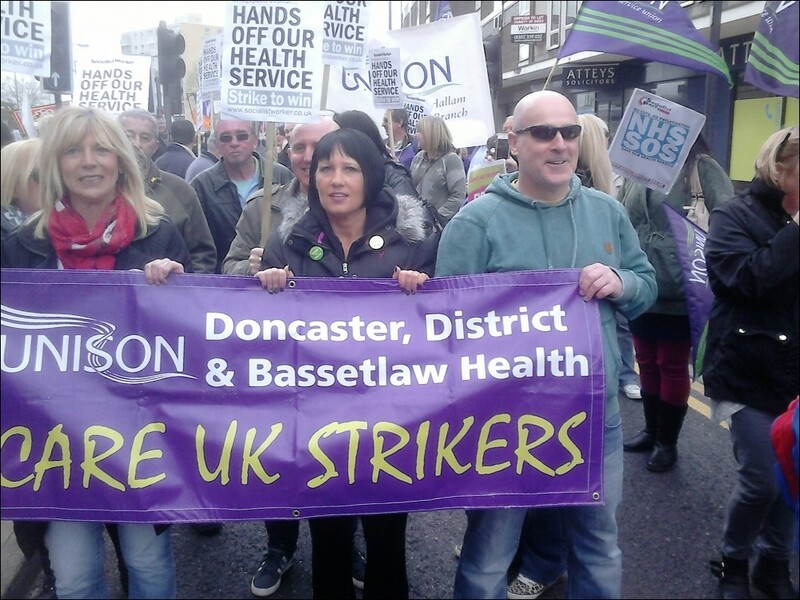 TUSC has helped Care UK workers lobby Labour leader and Doncaster MP Ed Miliband and the Labour mayor and council cabinet. But still they say there's nothing they can do and won't even make a public statement of support. That's why most strikers are backing TUSC in the council elections including two strikers and a partner who are standing as TUSC candidates.